Street Fighter I: Hands down, Street Fighter is the most influential and well known fighting game. It first debuted in arcades in 1987. The Capcom series didn’t start out as anything particularly special. Originally, the only playable character was Ryu: a martial arts master in a worldwide tournament. If there happened to be a second player, they could join in as Ryu’s rival, Ken. Street Fighter II: It wasn’t until the 1991 release of Street Fighter II that the game began to attract attention. 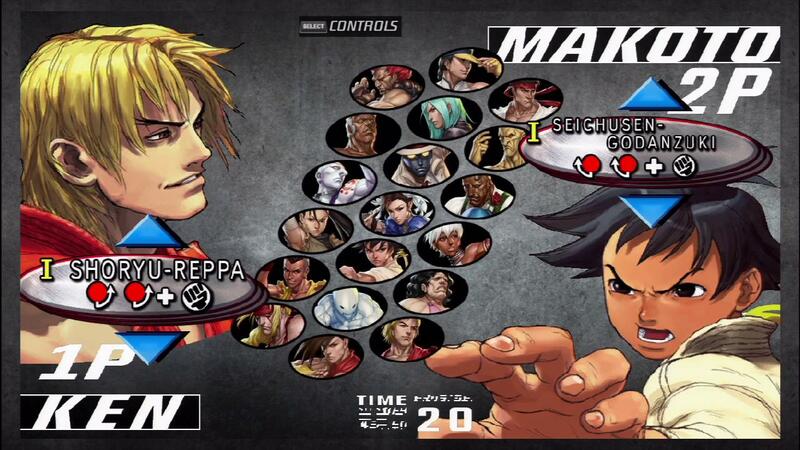 This new development introduced a relatively new concept for fighters at the time: an actual roster of unique characters to choose from, each with their own fighting style and special moves. Because of its massive arcade success, the game was ported to consoles. Street Fighter II started a common trend for Street Fighter; it introduced the concept of adding to the already existing game via new versions, without making a entirely new game. These installments, in order, were Street Fighter II: Champion Edition, Street Fighter II: Hyper Fighting, Super Street Fighter II: The New Challenges, Super Street Fighter II Turbo, and most recently Super Street Fighter II Turbo HD Remix (quite a mouthful). Street Fighter: Alpha: 1995 saw the release of the Street Fighter: Alpha series. The story for Alpha takes place after Street Fighter I and before Street Fighter II; it explains character back stories and reasons for intense rivalries. Like Street Fighter II, it received it’s renovations, in the form of Street Fighter Alpha 2, and Alpha 3. Street Fighter III: New Generation: In 1997, Street Fighter III introduced, as the titles mentions, a new generation. Besides poster-boys Ken and Ryu, the game features a completely new roster of characters. In it’s later renditions ( Street Fighter III: 2nd Impact and Street Fighter III: 3rd Strike), it does bring back both Akuma and Chun-Li as playable characters. Street Fighter IV: In 2007, 8 years after the release of Street Fighter III: 3rd Strike, Capcom announced the release of Street Fighter IV, which would take place chronologically in between Street Fighter II and III. The gameplay would work on a 2D plane, similar to the previous versions, but would now feature cell-shaded 3D graphics. Also like it’s predecessors, Street Fighter IV was followed by updates, including Super Street Fighter IV, Super Street Fighter IV: Arcade Edition, Ultra Street Fighter IV, and most recently Ultra Street Fighter IV: Omega Mode. Street Fighter V: Currently, all that exist are rumors, a cinematic trailer, and a gameplay trailer revealing Ryu and Chun-Li. What do you want to see from Street Fighter V? Which characters should make a reappearance? What mechanics? If anything gets announced, I promise to report it hear, along with my impressions.